West Jakarta Sub-dept. 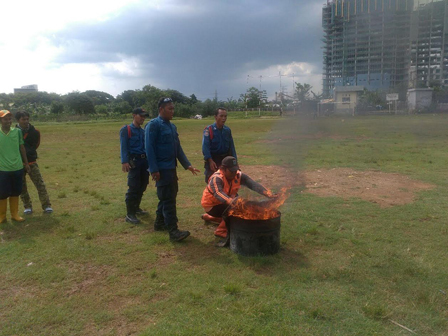 of Fire Handling and Rescue held fire handling training for 50 Kembangan Utara Urban Village PPSU personnel.
" It is hoped the fire case can be minimized by holding such training"
“It is important to give them fire handling training. Their working area is in the middle of society,” said Setyasih, Head Section of Mass Participation for the agency, Tuesday (11/1). During the training, the personnel were trained about how to extinguish fire with wet sack and light extinguisher. “It is hoped the fire case can be minimized by holding such training,” he closed.